After watching SAP CEO Bill McDermott, HP CTO Phil McKinney, and Square Co-founder Jack Dorsey give their conference spiel today, I took a stroll into the DEMO pit in order to find the seven best startups at DEMO. Parallels Definitely the darling of DEMO, the already established Parallels chose Santa Clara to launch its Parallels Desktop 6/Parallels Desktop 6 for Mac app which allows people to use their iPad, iPhone and iPod Touch in order to remotely access Windows applications running on a Mac. You know what this means? Yes, Flash and printing, on an iPad, Uh huh, that’s right. IQ Engines This startup’s Any Image Recognition Engine is a visual search engine that uses both an exact and category algorithm as well as crowdsourcing in order to tag any image you throw at it with a relevant label. Attempting to one up Google Goggles, IQ Engines aims to provide accurate and comprehensive image intelligence services to shopping applications, web publishers, photo labeling applications, as well as tools for the visually impaired. Range Networks Open BTS’ Range Networks aim is pretty noble, to provide low cost web connected cell phones to everyone on the planet using scalable mobile infrastructure. Founded by Glenn Edens, the startup uses GSM technology which allows people to route calls over the Internet. And, not having to send as much info through expensive landlines, Range Networks holds that it can set up cell phone plans for $2 to $3 a month. Heard of them before? They’re the ones that built all the open source VoIP stuff for Burning Man. 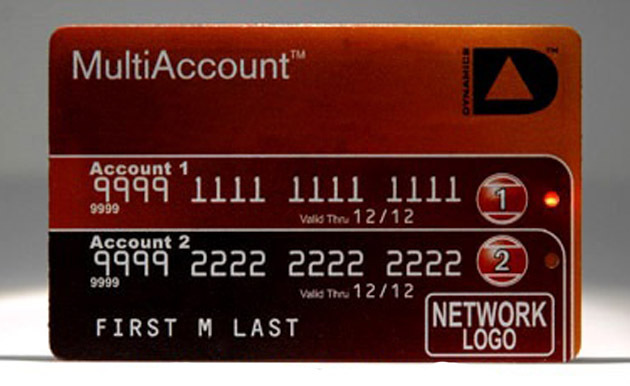 Dynamics Dynamics (see photos above) is a credit cards payments system that is attempting to disrupt current payment system practices in order to to create “Card 2.0.” A Dynamics card looks like a normal credit card but is in fact a thin flexible computing platform, which allows for both a programmable multi-account and a “hidden” functionality, preventing theft as well as increasing convenience as you get to choose what “card” you use. Bump Ever wish you could send really mean texts to someone who had blocked your driveway, getting them to respond and perhaps even move their car? You’re one step closer with the BUMPME iPhone app, which allows users who don’t know each other to to send and receive messages to each other through unique identifiers, like license plates. Particle Particle is an integrated development environment (like OpenPlug) which lets developers to translate one mobile app into the native language of another app, enabling programmers who write in Java to develop apps for the iPhone (in Objective-C) and vice versa, switching through what used to be incompatible platforms with ease. Footfeed Like Check.in, Footfeed tries to eliminate Checkin fatigue by aggregating checkins from Foursquare, Facebook, Gowalla, Britekite and Twitter but, unlike Check.in, Footfeed’s got an iPhone app where you can still reap the benefits of cross platform mayorships, points, deals, tokens or whatever the kids are doing these days on the go! It’s about time.